Hi, great to see you’re interested in taking care of your skin early in life. 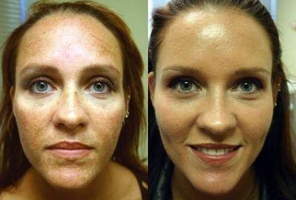 A ruddy complexion can not only be bothersome, it can become problematic as well. Chronic flushing in the cheeks can lead to chronic inflammation which is the root of many skin conditions. Weakened and compromised capillaries can also diminish the amount of nutrients and oxygen your skin gets. At JSweat Plastic Surgery we use and recommend SkinMedica products. 3 products in particular come to mind for your concerns. CalmPlex an anti-inflammatory cream that provides excellent surface protection as well. The C and E serum which also helps with inflammation, but more so it strengthens the capillaries and is vascular constricting. And lastly, Total Defend and Repair SPF. This is more than a sunscreen. It has a potent antioxidant complex that repairs the skin and reduces the damaging effects of infrared heat in the skin. I hope this helped to address your concerns.